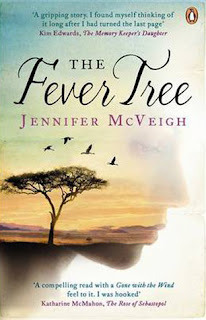 The Fever Tree by Jennifer McVeigh was surprisingly haunting, and had a subtle yet very much present conservation message behind the beautiful story. It's perfect reading for long sunny days. 5 Words: Family, hope, change, deception, conservation. 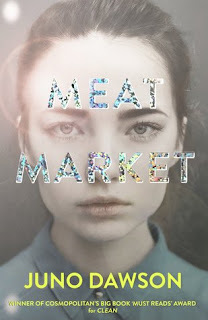 I wasn't sure what to think when I first started this book. Frances did not appeal to me at all and she is the main character. A couple chapters in I was frustrated by her - she opted for paints and an easel over essentials she was told she'd need for her new life. She couldn't understand Edwin's frustration at her when she arrived with no material, no sewing machine. The whole ship journey got to me too - because this is where we meet William. William is a foul character and I know Frances lived a sheltered and naive life but really? Did she really think he was god's gift to man? So his actions on the Cape finally jolted her a little, but she still longed for him even though on the ship... Well, you should read it, it may be a spoiler if I say. I liked the conservation messages subtly strewn throughout the text - they highlight the dangers that Africa still faces today in terms of everything being wiped out. I loved the imagery. I could feel my skin drying, blistering, burning. And the descriptions of small pox were quite horrific. I could taste the fetid water, smell the spilled blood, feel the dust coating everything. This is powerful writing with powerful messages. "Were there ever lions here?" "Reitz's father shot the last one thirty years ago..."